For those who are considering a divorce, no doubt there are a lot of considerations that must be addressed. From finances to debts to where the children will live, divorce can play tricks on your mind and give you a lot of sleepless nights. Perhaps the most important consideration for most parents is how the children will fare, during and after divorce. While Maryland courts try hard to make sure children get equal time with both parents, the realities and logistics of divorce sometimes necessitate an unequal balance in parenting time. Research tends to suggest that younger children are impacted the hardest – especially toddlers. First, it’s important to remember that every situation and every child is unique. No two situations will produce identical outcomes. The “Attachment Theory” reveals that many toddlers and young children become more closely attached emotionally to the parent with whom they spend the most time. This makes sense. But it also means they may develop “aloof” or detached behaviors toward the less present parent – often the father. Therefore, less parenting time can result in a reduced level of emotional attachment or dependence on that parent. Some researchers speculate that this is especially true for younger children like toddlers, because they are still developing these emotions. 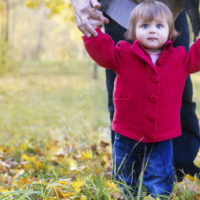 If you have young children, including toddlers, and you are going through a divorce, perhaps the best thing you and your spouse can do is recognize the impact and importance of your actions on the child’s overall development. Next, consider these recommendations. Toddlers don’t do nuance. Period. Keep language simple and easy to understand. Do not equivocate or use soft language to try to sugarcoat the situation. Make it very clear for the child where he or she will be living. Try something like, “Mommy and Daddy have two different houses now, so you will have two houses.” Only you know your child and what he or she will ultimately understand, but the key is simplicity and using concrete language. A lot of toddlers will misapply terminology from one situation to another. If you’ve ever chuckled when a little girl asks to marry her daddy, then you know how this works. The child takes a complex concept like marriage and generalizes it to all relationships that involve love. Unfortunately, toddlers will hear the word divorce and begin to worry that if they do something wrong a parent might “divorce” them. Make sure you explain that mommies and daddies don’t divorce their children. Reaffirm your love and affection for the child. While this can be a challenge, let your child keep favorite toys or other items. If this means having to shuttle a lot of stuff back and forth at first, so be it. The goal should be to keep change and confusion to a minimum. If you are facing a divorce, you and your attorney may have legal and financial goals to achieve, but never forget the underlying goal that you absolutely must achieve – keeping your children happy and healthy. Never allow your own emotions, anger, or resentment to cloud your judgment and make you do things that will negatively impact your kids. If you need help with the tough decisions that come with divorce, call a compassionate attorney who truly cares about helping families through these challenging situations. Call the Law Offices of Todd K. Mohink, P.A. and set up a private consultation today.